Réalisations inc. created Waikiki Nei for the tourist market of the Hawaiian Islands. By combining Hawaiian culture and traditions with the most recent stage innovations and technologies, Réalisations wanted to put on a show that was as emotional as it was spectacular for its audience. The stage consisted of a two-part concentric circle turntable with a central deck that transformed into a wave riding over the audience. High speed motorized tracks with winches allowed acrobats to perform safely over the audience and land with precision on the stage or upper galleries. This equipment was designed with all of the life safety systems required to offer security to the performers and public below. 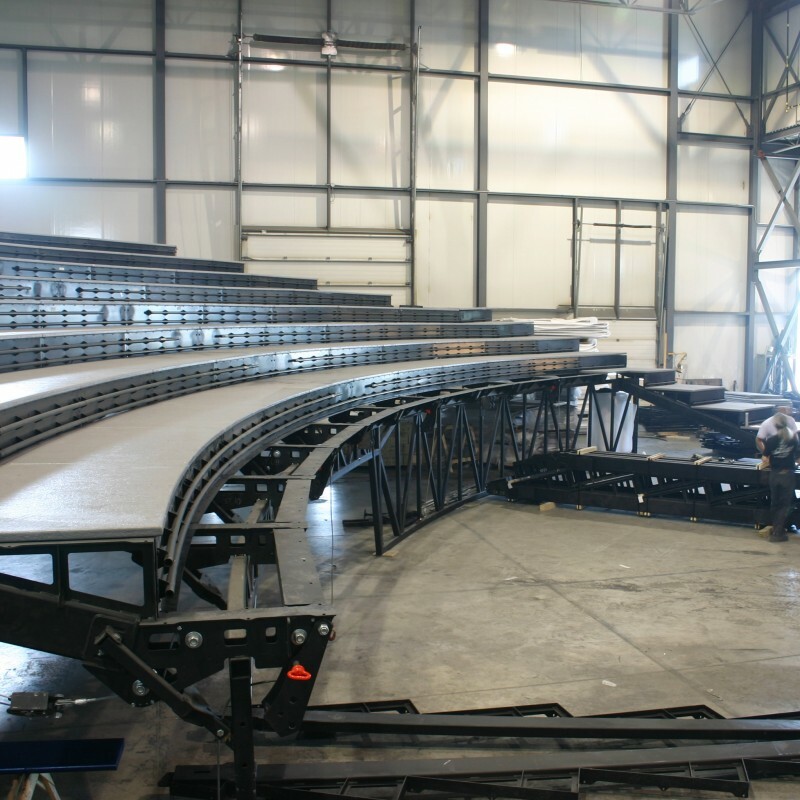 Due to the many constraints of building a theatre in this type of location, we designed and constructed a 750-seat grandstand that was pre-assembled and tested in our shop. The grandstand and its theatre-style seating are mounted in one week. 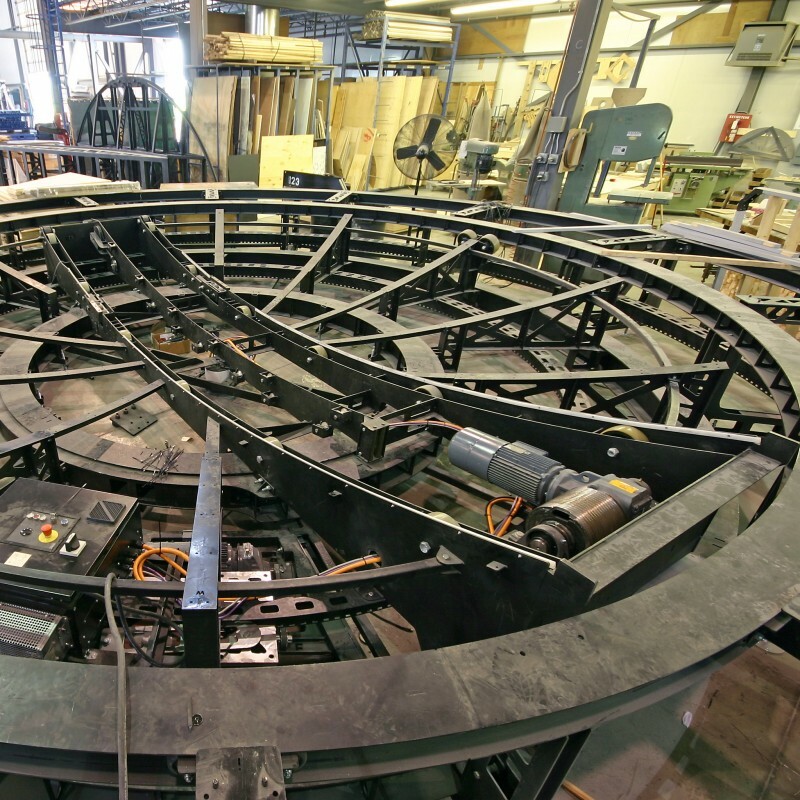 This stage is made of two concentric turntables with the central platform riding on rails to simulate a wave.